Keep me logged in ? → Forgot your password ? 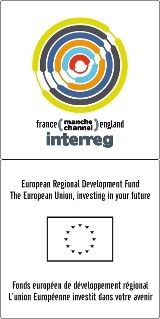 → Developing knowledge of the Channel area to enhance understanding of shared issues, promote cross-border partnerships, further mobilise available skills and provide tools to assist public decision-making. The Channel Area Resource Centre, which is accessible via the CAMIS project website, is both a tool for the dissemination of knowledge and a collaboration platform. It is aimed at stakeholders involved in the various themes of the CAMIS project as well as the general public. An "Atlas-Observatories" database lists various atlases and observatories that provide information, analysis, maps or data on the Channel area. This is either data specific to the Channel area, or more broad such as at French and British domestic or European level. These atlases and observatories deal with the sea, the coastline and more general maritime issues. To support the wider project activities, a mapping exercise was carried out, leading to the redesigning and updating of the "Cross-Channel Atlas" website as well as the creation of a series of maps entitled "Focusing on the Channel".